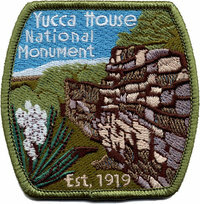 Sew-on embroidered patch featuring Yucca House masonry and blooming yucca plant. 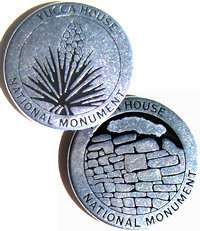 Text reads "Yucca House National Monument - Est. 1919". 3" x 3". 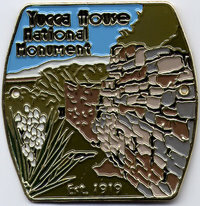 Double sided collectible token for Yucca House National Monument. Fits all collector token albums and books.